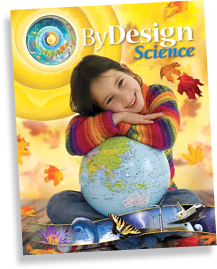 ByDesign leads students, through inquiry based learning, to discover nature’s beauty and the God who created it. Assessment is an integral part of the learning and teaching process that should be clearly aligned with the stated curriculum standards and the learning experiences. It should provide ongoing descriptive feedback that is clear, specific, meaningful, and timely. Reflective teachers use a variety of appropriate assessment practices to measure learner achievement and to inform instruction. 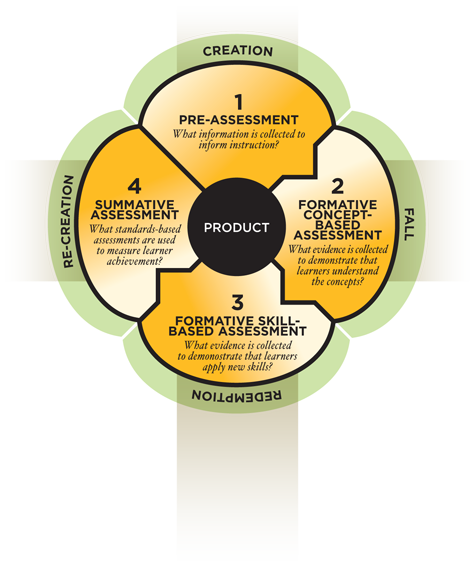 The assessment cycle shown here offers a balanced emphasis on these assessment practices. Pre-assessment and summative assessment offer learners opportunity to creatively demonstrate their prior and newly acquired knowledge, respectively. Formative concept-based assessment and formative skill-based assessment provide a variety of ways for learners to demonstrate conceptual understanding and skill development. This model aligns with the work of Marzano, McCarthy, Wiggins, Stiggins, O’Connor, McTighe, and others.